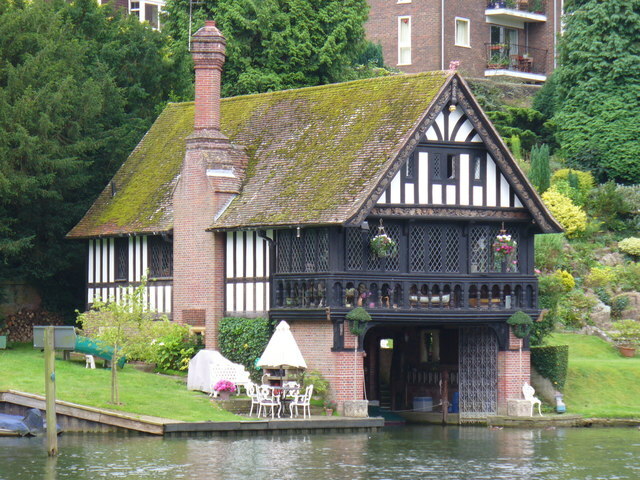 Mock Tudor elegance set in private gardens on the east bank of the Thames. The steep bank behind is populated by flats and large houses. This page has been viewed about 2127 times.